ONEOK Field, home to the Tulsa Drillers and Tulsa Roughnecks, has been named a finalist for the Made In Oklahoma Coalition (M.I.O.) Restaurant of the Year Award. ONEOK Field became a finalist for the honor after being named the Restaurant of the Month in May of 2015 by the M.I.O. Coalition. The food and beverage operation at the downtown Tulsa stadium is run by Professional Sports Catering (PSC). PSC and its director, Cody Malone, have emphasized the use of fresh Oklahoma products for several years. Many of the ingredients in the food and drinks prepared and served at the stadium come from Oklahoma producers. "As chefs, being nominated for this award makes us proud to be Okies," said Malone. "Whenever possible, we look to purchase locally as Oklahoma gives us a great source of ingredients that helps us be able to serve quality products." The M.I.O. organization began in 2000 as a group of less than a dozen Oklahoma food manufacturers and has grown into a 60+ member Coalition that proudly represents more than 28,000 employees and generates more than $4.1 billion in sales. Its mission is to promote brand awareness and consumer loyalty for Oklahoma food products through collective marketing for the purpose of increasing sales, maintaining business retention and expanding Oklahoma's food processing sector. 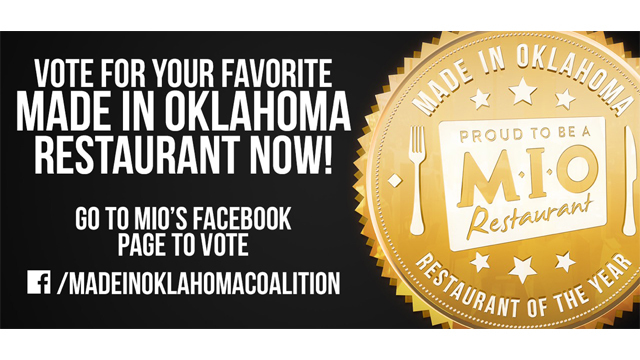 Drillers and Roughnecks fans can have a direct impact on the outcome of the Restaurant of the Year contest as the M.I.O. Coalition is letting the public vote for its favorite venue. Fans can vote once per day by going to the group's Facebook page. Voting will last into March as the winner of the award will be announced at the Governor's Mansion in Oklahoma City on March 31. Fans can support ONEOK Field and PSC by voting HERE.